When Susan Wilson of Stevensville, Maryland launched a Kickstarter campaign for $829 to send her nine-year-old daughter Kenzie to role-playing game design camp last Thursday, she never expected donations to surpass $20,000. She also didn't expect to be branded and scammer, a manipulator and a child abuser. The threats of violence were also a big surprise. As the Kickstarter project, titled "9 Year Old Building an RPG to Prove Her Brothers Wrong! ", soared far beyond its original goal, the internet community began to ask questions. Why does Susan Wilson, a "millionaire" who was once named one of Fortune's Most Powerful Female Entrepreneurs, need Kickstarter to raise $829? Where is all of this extra money going? Why does a Kickstarter campaign for $829 have a $10,000 reward tier? 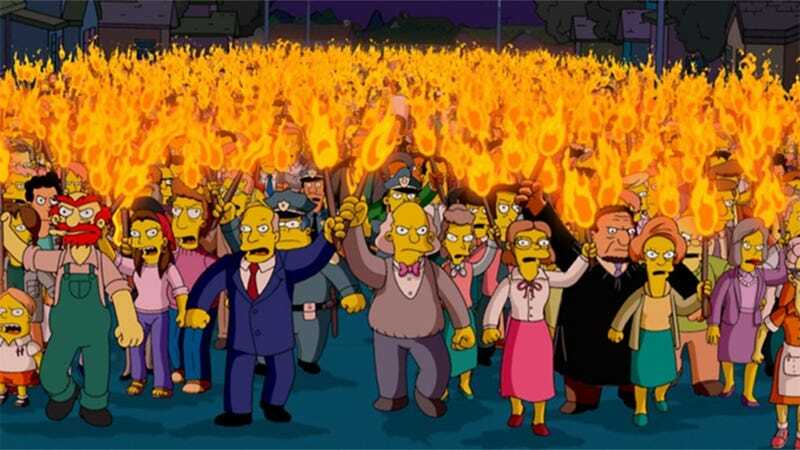 The arguments and accusations soon moved from the Kickstarter comments page to Reddit, NeoGAF and 4chan. These communities took to the internet to find dirt on Wilson, uncovering pictures of her with Warren Buffett, one of the most successful men in the world. They found her page on the website of The Judgment Group, which describes her selling Kinkos.com to Kinkos, suggesting she had made millions squatting on the website. They suggested she had sold-out her sons, publicly humiliating them for financial gain. Over on Imgur there's a large image detailing her many transgressions. I first came across Susan and Kenzie's Kickstarter last Friday, where it was tipped to me as a feel-good story of a young girl with an eye for game development looking to one-up her teasing older brothers. According to Susan Wilson, who I spoke to today via Skype, that's exactly how the project went down. According to Susan, that was when nine-year-old Kenzie, with no real concept of money, offered to pay for the camp herself. She asked for help and her mother, no stranger to the world’s most popular crowd-funding website, suggested Kickstarter. Initial reaction to the project was positive. The Kickstarter went live on Thursday evening. When Kenzie woke up on Friday morning, she had already reached $400 — half of her goal. By the time Kenzie got home from school the goal had been reached, and she was happy. "Then things got out of hand." Over the weekend the project gained the attention of internet media outlets and major players in game development, and donations skyrocketed beyond the original goal. With no clear definition of where additional funds would be going, the Kickstarter community started calling foul. First came claims that the Kickstarter violated the site's terms of service, funding not a project but a tuition, violating the "No "fund my life" projects rule. The projects opening image with its "support girls in tech" brought claims that it violated the no charity or cause rule. I contacted Kickstarter regarding the validity of the project, and received the same response given any other media outlet that inquired: "Kickstarter is a funding platform for creative projects. The goal of this project is to create a video game, which backers are offered for a $10 pledge. On Kickstarter backers ultimately decide the validity and worthiness of a project by whether they decide to fund it." So as far as Kickstarter is concerned, this is a project that is promising a role-playing game, to be delivered once the camp has completed. Susan further confirmed Kickstarter's support of the project in an update, in which she posted an email sent to her from "John from Kickstarter." This led to internet investigators hunting for John from Kickstarter. Finding no John on the site's staff page, Susan Wilson was accused of impersonating a Kickstarter employee. It has since been verified that there is indeed a John working for Kickstarter. It's not clear if that's the same John as in the e-mail. Then came claims that Susan is a cyber-squatter that made millions off selling Kinkos their own website. "The story is that I'm a cyber-squatter that bought Kinkos.com to sold the domain to Kinkos for $100 million, which is so far from the truth it's ridiculous." As Susan tells it, the Kinkos.com affair sprouted from her first tech start-up, LivePrint.com. She raised $12 million in venture capital to start up the company and had a deal with Kinkos to become the company's web presence. "LivePrint.com became Kinkos.com, we were going to take the dotcom public. In 2000 the bubble burst, and Kinkos fucked us royally. I learned that people will lie to your face, and learned that I would never raise venture capital again." That's why Wilson is such a big fan of crowd-funding. Perhaps not so much now. The accusations continue to fly. Here's Susan Wilson with Warren Buffett. 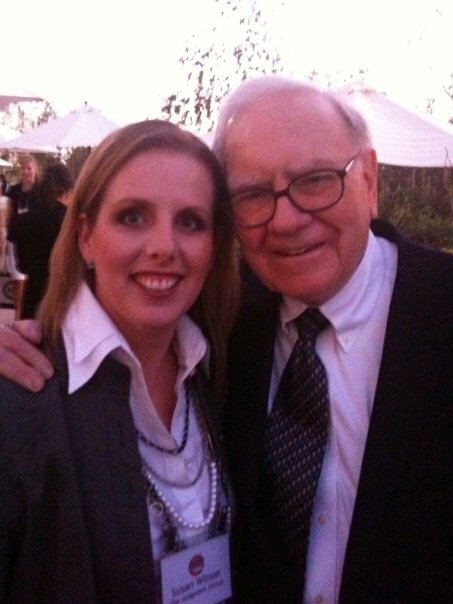 Susan tells me Warren Buffett is a personal hero of hers, so the chance to snap a photo with him at the aforementioned Most Powerful Female Entrepreneurs awards could not be passed up. She also mailed him a cape, and he sent her a thank you letter. She's a businesswoman and a Buffett fangirl. In her line of work, can't say I blame her. Yes, she has purchased $1,500 shoes. She said they were the splurge reward for a particularly lucky turn at the gambling tables. I say who cares if she bought $1,500 shoes? The most valid complaints about Susan and Kenzie's Kickstarter campaign are suggestions that Susan violated Kickstarter's anti-spamming rules. A quick glance at Susan's Twitter page shows that she did indeed tweet the living hell out of her daughter's campaign to celebrities, women's rights groups and just about anyone else she could get her Twitter hands on. Yes, Susan Wilson has money. She told me she isn't quite the millionaire the internet makes her out to be — as an entrepreneur she takes money from one project and invests it in other projects — but she doesn't need our $20,000. "Sure, I could have paid for the camp myself," she told me. "God, I wish I had now." She put up a strong front during our interview, but here, discussing the overwhelming reaction and the threats to herself and her family, her voice cracked. "I've taken enough shots." Susan's also been strong for her daughter, shielding Kenzie from the negativity surrounding her Kickstarter project as best as she could. "She's seen me cry once. I got a message saying 'I hope you die a lonely, cold death,' and that's when she saw me break down." The Kickstarter still has 24 days to go, and Susan's under the impression that it has to stay up for the remainder of that time. "If I leave it up the bad stuff will keep happening, but if I stick with it over the next 30 days, maybe I can turn it around." The trick is figuring out what to do with the money. Susan no longer wants to use it to pay for tuition for the RPG camp. She'll do that herself. Now she's looking for ideas on how to turn the raised funds into something positive, without violating Kickstarter's terms of service — no charity, no "fund-my-life". She's not sure how to do it, but she's open to suggestions. She's reached out to Reddit. She's reached out to 4chan. She's wants to take this negative thing and turn it into a positive. Here's hoping the internet lets her take it in that direction.